Iraq remains the largest and most underdeveloped oil nation in the world today, with fewer than ten wells drilled annually since 1980 and only 25% of the country comprehensively explored, according to EIC Consult, the market research and consultancy arm of the UK Energy Industries Council. The report found that, despite continued concerns over security, political instability, and the lack of a settled investment environment, a proposed infrastructure overhaul and ambitious plans to increase oil and gas production present huge opportunities for service providers at every stage of the supply chain. 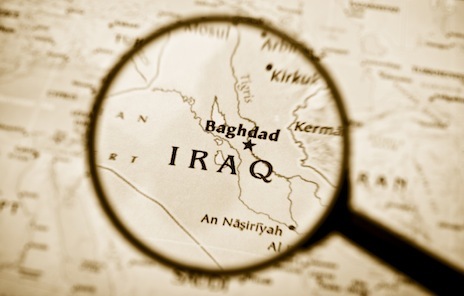 It states that, as of 2011, Iraq had around 80 commercial oilfields and daily oil production of about 2.65 MMbopd, which the report believes will rise to between about six and eight MMbopd by the end of 2017. It stresses, however, the urgent need for a binding national hydrocarbon law, federal oil investment and revenue sharing agreements. The report concluded that there are few locations on a global scale that can offer the size and quality of hydrocarbon reserves as Iraq.